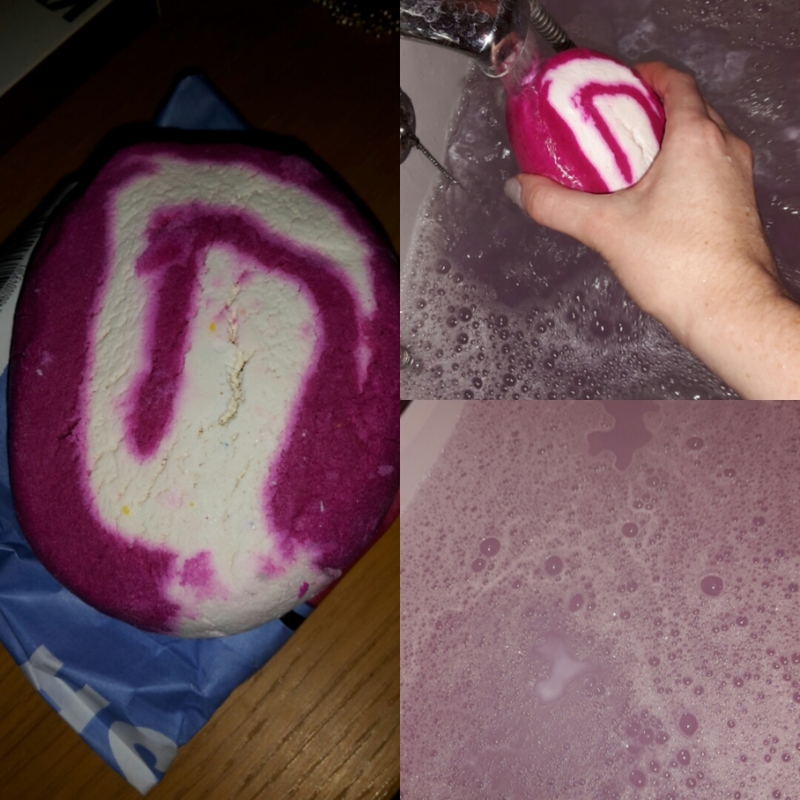 Another day and another Lush post this time on The Comforter Bubble Bar. While in Birmingham shopping over Christmas me and my friend went and had a look and a sniff around Lush. I came across the Comforter and it has the most wonderful scent of blackcurrant. This is one of Lush's bubble bars which is not the same as their bath bombs. Something I did not realise till dropping it in the bath and realising it was not doing much of anything. (I'm a bubble bar newbie ok). I then ran it under the tap for a minute or two and my bath became a nice pale pink colour with bubbles. I hardly used any of the bar so it has been saved to be used again and again. Who doesn't love a good bubble bath? While this doesn't turn your bath water into fantastic colours it does smell amazing and who doesnt' like bubbles!? Perfect for relaxing on an evening I will definitely repurchase this when I use it all up! Have you tried any of Lush's bubble bars? What are your favourites?